?Former Napoli star Diego Maradona has offered his support to current defender Kalidou Koulibaly after being subjected to racial abuse during a recent defeat to Inter. The 26-year-old was subjected to racial chants by sections of the Inter fans during the Boxing Day game, with Carlo Ancelotti claiming Napoli asked the game to be halted as a result. ?Stars such as Sadio Mane and ?Paul Pogba, who wore a a wristband with the word ‘honour’ etched on it during Manchester United’s recent 4-1 over Bournemouth as per the ?Manchester Evening News, have supported the Senegalese defender in recent days. Maradona has now done the same via his ?official Instagram account. 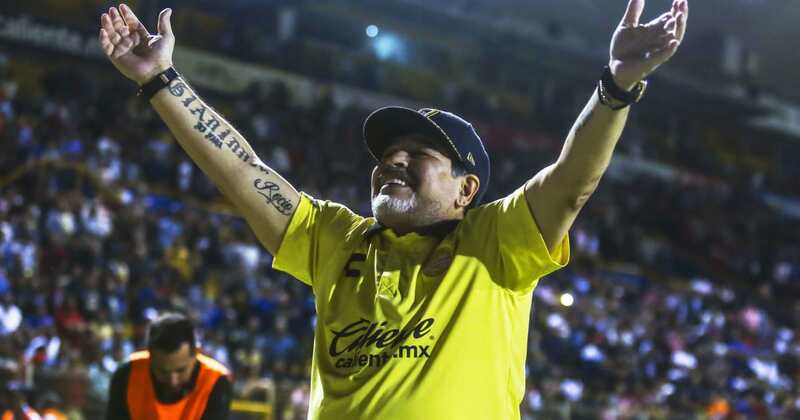 Accompanying the picture, Maradona, who won the Serie A title with Napoli in 1986/87 and 1989/90 said: “I played for seven years in ?Napoli, and I also suffered the racist songs of some fans. I still remember the flags that said ‘Welcome to Italy’. As a result of the incident, ?Inter have received a two-game stadium ban at the San Siro, while the Curva Nord – the north curve of the stadium – will be closed for an additional game, which is where the majority of the club’s ultra groups usually occupy. ?Inter themselves have released a statement on the matter, claiming those that took part in the vile racial chants ‘do not stand with us’, as the club look look to eradicate unsavoury scenes such as this in the future.